Explanation: Is this a spiral galaxy? No. Actually, it is the Large Magellanic Cloud (LMC), the largest satellite galaxy of our own Milky Way Galaxy. The LMC is classified as a dwarf irregular galaxy because of its normally chaotic appearance. In this deep and wide exposure, however, the full extent of the LMC becomes visible. Surprisingly, during longer exposures, the LMC begins to resemble a barred spiral galaxy. 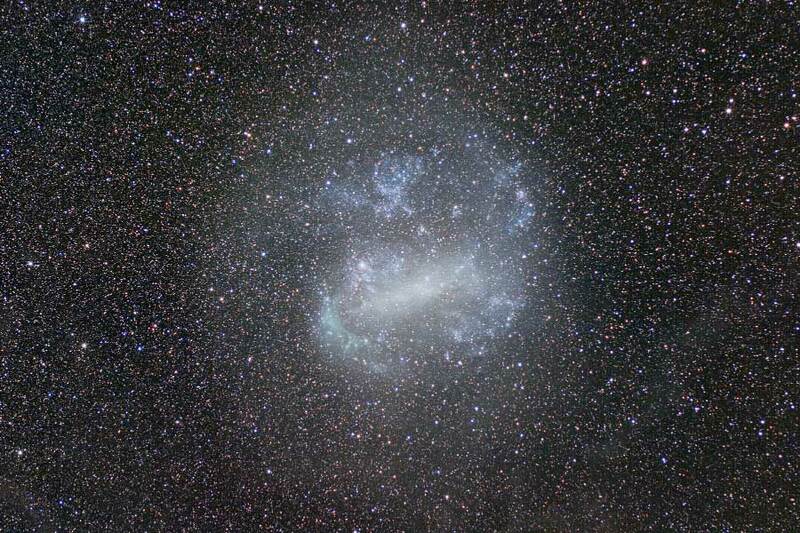 The Large Magellanic Cloud lies only about 180,000 light-years distant towards the constellation of Dorado. Spanning about 15,000 light-years, the LMC was the site of SN1987A, the brightest and closest supernova in modern times. 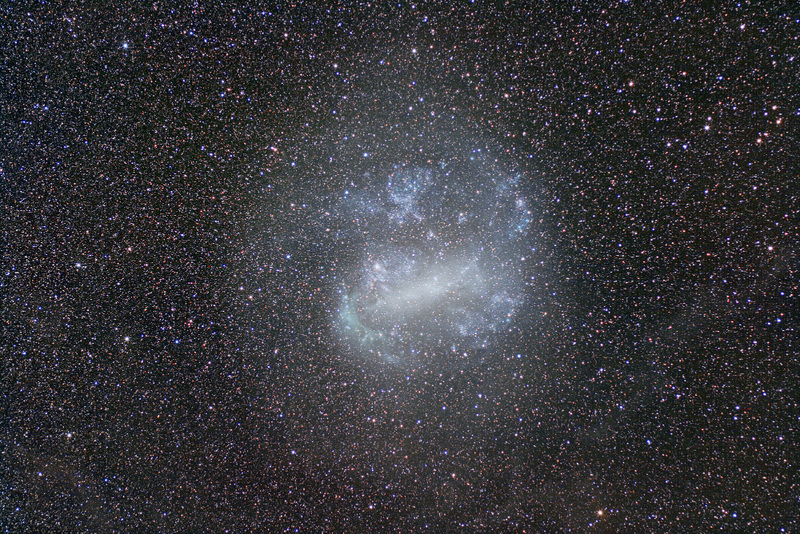 Together with the Small Magellanic Cloud (SMC), the LMC can be seen in Earth's southern hemisphere with the unaided eye.